Yasser Gidi from the Cosa group received in February 16th the NSERC Gilles Brassard Doctoral Prize for Interdisciplinary Research. 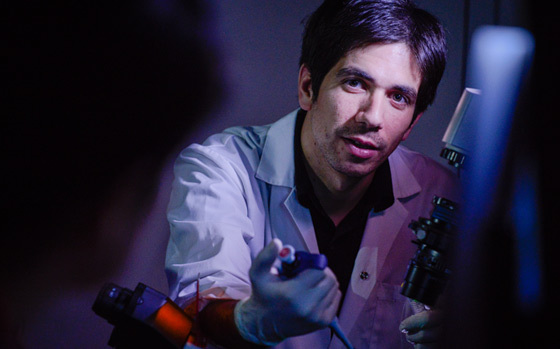 He has developed a novel single-molecule platform that makes it possible to observe and study proteins that allow life-threatening viruses such as hepatitis C and HIV to reproduce, often mutating into forms that are resistant to known drug therapies. Gidi is effectively creating "movies" of individual biological machines in action, with the goal of understanding how the viruses reproduce and how they respond to drugs. Gidi's research may provide not only new ways to study viral machineries in general, but also the molecular underpinning of viruses, enabling the design of better treatments for hepatitis C and HIV infections.